It's always such a pleasure! After a round of crazy personal stuff that I don't need to explain to you I've begun playin' games and kickin' Nass again, and that means I played a fair bit o' WoW and am just getting curious enough about games like SW:TOR and GW2 to write some words about them. So this is the place for those words. 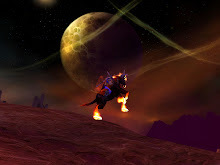 Just so there's a short bit of actual content in this post, here are my top and bottom 3 favorite zones this Cataclysmic expansion, and I think I'll write a short little retrospective about each. Maybe do two at a time. Sound good? Good. I'll post links to the articles in this sucker when they're written n' posted.